This is an excellent book. It's an honest, straightforward account of the author's life growing up as a privileged white settler in Rhodesia, through the days of Ian Smith's failed attempt to break away from the UK and the civil war, and on into Mugabe's Zimbabwe. Atkins doesn't gloss over the casual racism and bad treatment that many of the whites meted out to the blacks in Rhodesia, or the inequality, but at the same time he takes pride in the positive aspects of life in the country. He describes living in fear during the black uprising, and his military service as the country goes to hell. The last half of the book talks about the utter havoc wreaked by Mugabe's government after he seizes power: the incompetence and corruption leading to the devastation of the economy, while the West looked on with approval and did nothing. In some ways it's hard to feel sympathy for someone who was brought up as part of a ruling class that treated black people as second-class citizens and lived a life of luxury off their labors. But on the other hand, you have to ask yourself objectively whether black Zimbabweans were actually any better off under Mugabe. It's a complex ethical and political situation, and I'm not in a position to talk about the rights and wrongs of both sides, but it's fascinating - and important - to hear from someone who was there, who lived through it and saw it at first hand, and who clearly has a deep love for his country and is saddened by everything that happened. For somebody like me who didn't know very much about Rhodesia, it is a worthwhile read. It is written one-sidedly. You can get the white perspective that cannot be discounted. Atkins does not pull any punches when it comes to his thoughts on the rule of Mugabe and his Shona tribe. Nothing that I have read about Mugabe contradicts the author's views, not surprisingly. Interestingly, his own description of how he dealt with the other tribes sounding sympathetic to their plight but incredibly patronizing -- brought out in particular in dealing with Michael his servant -- illustrates why Africans were so resentful of whites. I believe that the book would have better if less emphasis had been focused on his relationship with Debbie and more on the descent of Zimbabwe into economic ruin and the reign of terror. Excellent read. 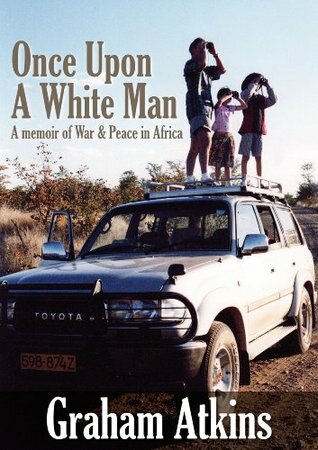 I would recommend this book to anyone who has lived in or loved Africa. It was especially worth it for the part in the story of the radio program called 'know your partner' when they interview couples and they have to answer questions about each other without the other hearing the answer. Well done Graham you did the story proud! I'm sorry I didn't think to add it to my book.